The Men's Room Put something on…sheesh! 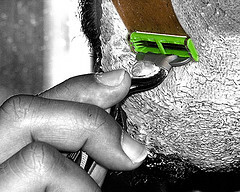 Face, Shaving	2 Comments on Put something on…sheesh! Now, if three random guys follow this logic then there must be more out there…right? So guys. No matter how little time you have in the morning, there is absolutely nothing practical about “dry shaving,” unless it is with an electric shaver which makes better and “safer” sense. Moisture is important. 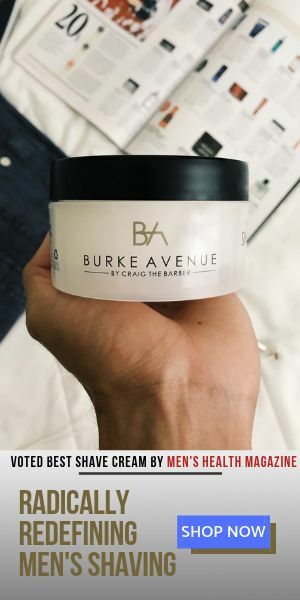 Warm water, with the help of your favorite pre-shave oil, and shave cream, softens the beard and skin, making the shave closer and much more comfortable. Considering a layer of skin is removed each time you shave, these items are designed to protect your skin from the blade, thereby making this process as painless as possible. The days of the hard leather cowboy face are gone. Warm water, pre-shave oil, and shave cream, three simple steps for keeping your face smooth and that special someone staring! So I currently shave my face with the outliner that I use for my hair? Should I be doing this? I have found that when I use razors I get a smoth shave but I also get bumps as the hair begins to grow back. One reason I use the outliner. If the outliner is okay to use should I use a pre shave oil? Thanks in advanced.